Rupert Pupkin Speaks: Underrated Detective/Mysteries - Aubyn Eli ""
Aubyn currently reigns over The Girl with the White Parasol blog (http://thegirlwiththewhiteparasol.blogspot.com/), where she enjoys giving her opinion on all things classic-film related. When she’s not there, she can be found on Twitter (https://twitter.com/GirlwthParasol) and Letterboxd(http://letterboxd.com/aeli/) as well. She also writes the Colorama column for the ClassicFlix website, paying tribute to all the great color films of the past. Proof positive that the genial, freckle-faced Van Johnson was more than capable of adding a dash of bitter to all that bubble and fizz. In this enjoyable mystery, he plays Philip Hannon, a successful playwright who’s recently been blinded. In the grips of his depression and anger, he pushes everyone away, even his loving fiancée Jean (Vera Miles). But one night, he overhears what sounds like a child kidnapping plot. This plunges Hannon into a Hitchcockian nightmare as his attempts to solve the crime keep getting foiled by disbelieving police and sinister criminals. It’ll come as no surprise to detective story fans that Hannon discovers that blindness has some advantages in crime-solving, but it still makes for an entertaining ride. Joseph H. Lewis, best known for the classic Gun Crazy, first made a name for himself with this crackling thriller. Julia Rossis technically a B-film and barely runs over an hour, but Lewis’ direction is so sharp and confident that it steamrolls the very notion of movie hierarchy. 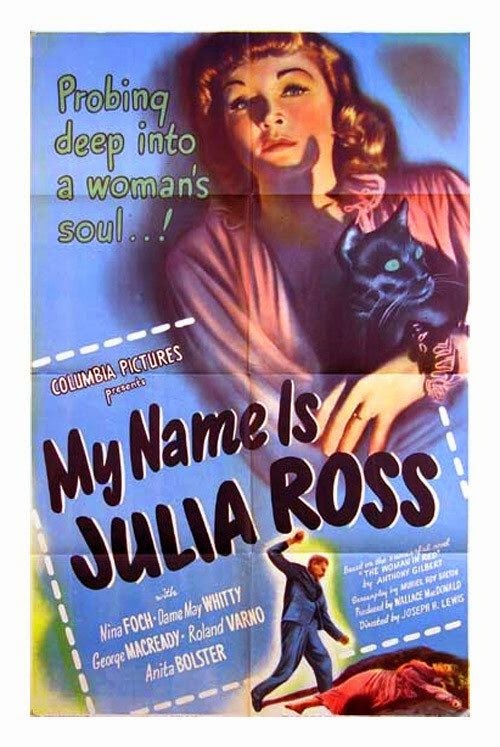 It stars Nina Foch as the titular Julia Ross, a woman who takes a job as a live-in secretary, only to wake up imprisoned in a manor home where everyone seems intent on convincing her she’s actually George Macready’s mentally ill wife. 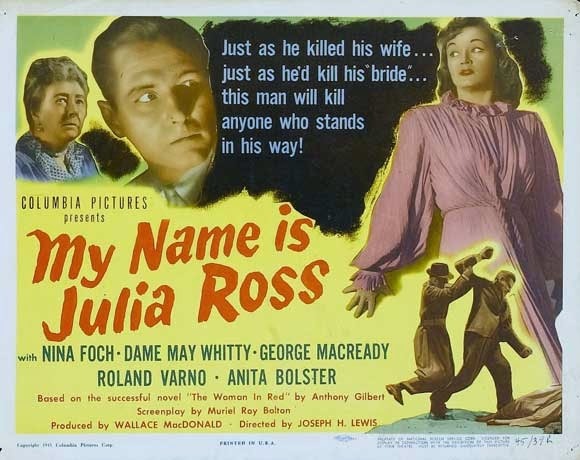 The main reason I love this one is Nina Foch’s performance as Julia Ross. 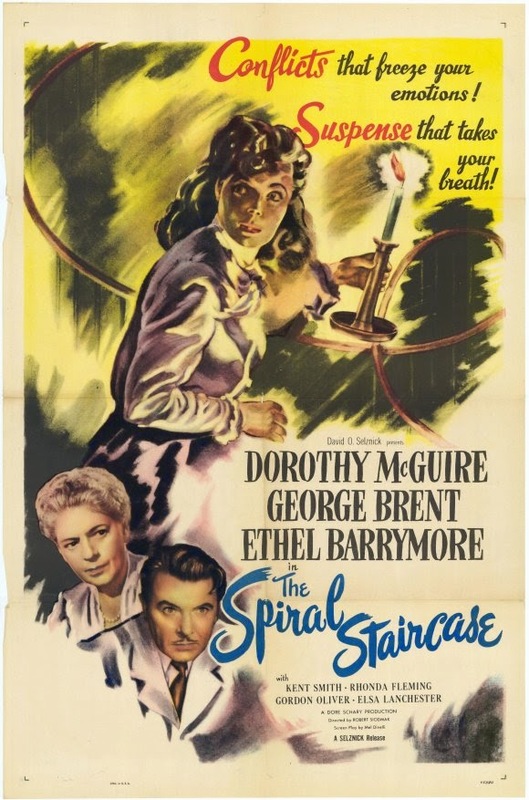 The movie breaks completely with the old trope of having the heroine slowly come to doubt her own sanity as the craziness amps up (see Gaslight, The Lady Vanishes, etc). Julia is too smart and strong-willed to cave in, even when faced with the formidable soft-voiced villainy of George Macready. In a way, Julia’s forceful character makes the movie more tense and unsettling. Even the strong aren’t safe from the machinations of evil. Dorothy McGuire’s performance as the terrorized girl is silent but extremely eloquent, giving the movie the urgency it needs for an otherwise formulaic plot. 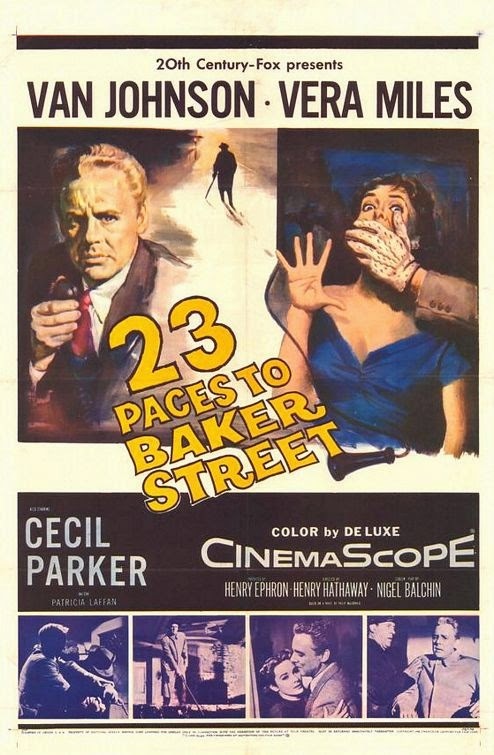 But the rest of the cast does a great job as well and director Robert Siodmak is in top form, using every shadow and creaky footstep to its full advantage.Definitely one to savor while you’re shivering under the covers. Does anything by director Samuel Fuller still count as “underrated” anymore? 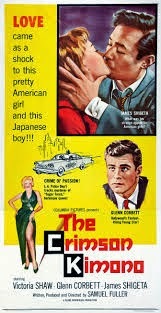 Well, regardless, I still found myself mesmerized by this utterly unique 1959 noir. The film is ostensibly about the murder of stripper Sugar Torch but it’s really about the relationship between the two police detectives trying to crack the case, straight-arrow Charlie Bancroft (Glenn Corbett) and soft-spoken Joe Kojaku (James Shigeta). These two loyal friends suddenly find themselves at odds when they both fall for the same girl (Victoria Shaw), a potential witness for the case. The girl picks Joe, but Joe finds himself spiraling into paranoia and rage anyway when he perceives a reaction from his buddy that seems less about jealousy and more about racism. The film’s portrayal of the interracial relationship is surprisingly well-handled for the time, as is Shigeta’s downward spiral. As always, director Fuller has a keen eye for combining bizarre imagery with brash emotion and he ends up with a far more interesting result than other “message movies” of the time. 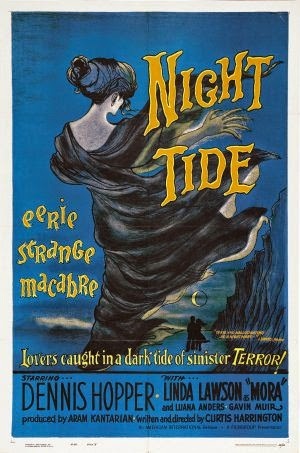 Night Tide is essentially Cat People but with killer mermaids.And I’m a sucker for killer mermaids. This dreamy, offbeat mystery centers on Johnny, a gentle, too-innocent-to-be-true sailor (played by Dennis Hopper of all people), who falls for a mysterious carnival worker named Mora (Linda Lawson). And she likes him too. Only thing is, Mora is haunted by the strange conviction that she’s possessed by an evil force that will compel her to destroy the man she loves. Johnny’s determined to save her at all costs, but if the threat really is supernatural, how can he? Lawson is a little too blank to take full advantage of the tormented siren role, but Hopper’s fine and the film has an evocative, even surreal atmosphere that hints at all kinds of mysteries lurking under the depths.